Aurora Blu-ray Player is the best and most powerful media player for Mac in the world. It can support Mac systems perfectly, especially the lion system. 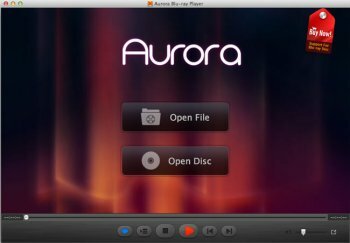 As a universal media player, Aurora Blu-ray Player can not only play Blu-ray HD movies on Mac, but also support any formats of movie, video, audio, music and photo you have ever seen, including ISO format. You are able to add subtitles to movie or video, and share the movie's information or your review with your best friends.